The Hollywood Hills are the part of the Santa Monica Mountains. The neighborhood touches Studio City, Universal City and Burbank on the north, Griffith Park on the north and east, Los Feliz on the southeast, Hollywood on the south and Hollywood Hills West on the west. 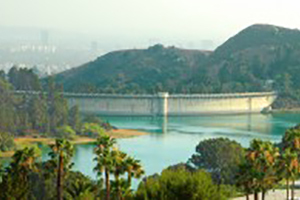 It includes Forest Lawn Memorial Park, the Hollywood Reservoir, the Hollywood Bowl and the John Anson Ford Theater.